Battleship was a fun action packed blockbuster and would recommend it to others who like the big explosions without much character building or in depth plot.Battleship stars Taylor Kitsch as Lt. Alex Hopper, a Naval officer assigned to the USS John Paul Jones; Brooklyn Decker as Sam Shane, a physical therapist and Hopper’s fiancée; Alexander Skarsgård as Hopper’s older brother, Stone, Commanding Officer of the USS Sampson; Rihanna as Petty Officer Raikes, Hopper’s crewmate and a weapons specialist on the USS John Paul Jones; and international superstar Liam Neeson as Hopper and Stone’s superior (and Sam’s father), Admiral Shane. Tim’s Film Reviews Recommended. This movie clearly wasn’t made for getting Oscars and I think that’s the best thing about it, they could have made this very serious and try really hard to make something dramatic but then it would lose the main charm that its based of a board game with as much character as this movie. The effects where clearly made with the same designs as many transformers but there’s nothing wrong with that, they looked really good and had fantastic feel of power when missiles hit hulls so you can imagine this is how it would look and feel if it happened. 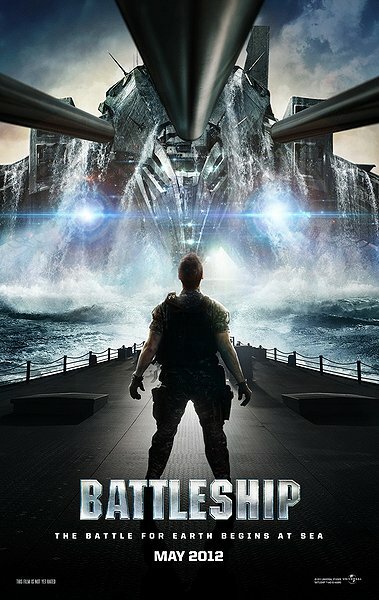 The movie had lots of pro military scenes and I liked that, not very often does the military get a good look although the veterans suiting the old ship did make me laugh but I think it was supposed to like many of the scenes at the beginning and where intelligently separated on battle scenes. Hi there, You have performed a great job. I will definitely digg it and in my view suggest to my friends. I’m confident they will be benefited from this website. I have a ridiculously verblown ibdness for Pitch Black. I have probably watched it over 50 times. Too bad the sequels were so terrible. Posting on my iPhone has been wonky as hell on WordPress for some reason.